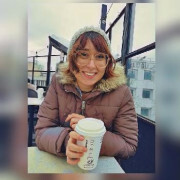 Want to get in contact with Gönül Damla? I'm Damla. I'm studying Psychology and Sociology. I graduated from Medical High School as a nurse. I'm a dancer mostly on latin and Turkish folkdance. I'm a great cook and love cooking. My friends always say that I'm a great listener and advice giver and I listen without judging.I can give you basic medical information about your medical condition. I can teach you basic moves for latin dance mostly on Salsa and Bachata.I'm Turkish. It means that I can translate mostly everything English to Turkish and Turkish to English. My english level is B2. Also I'm good at in Math. I can gladly help you about it.